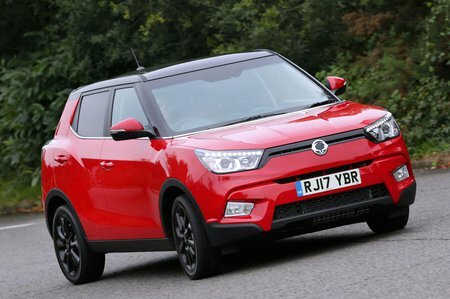 Ssangyong Tivoli Performance, Engine, Ride, Handling | What Car? 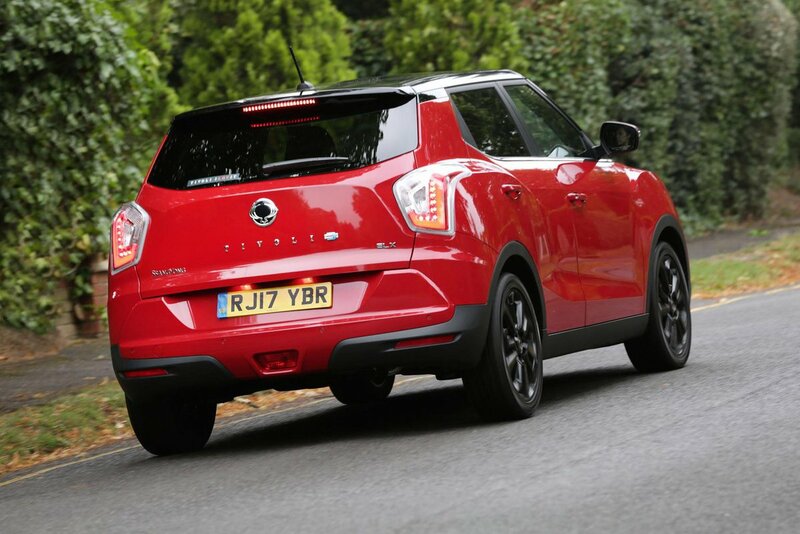 Fitted with the 1.6-litre petrol engine, the Tivoli is slower than both its Kia Soul and Nissan Juke equivalents. Unlike the Juke, which uses a turbocharger to deliver extra low-end shove, the petrol engine in the Tivoli is naturally aspirated so feels pretty gutless below 3000rpm. Even when you rev it hard beyond this point it struggles to deliver a reasonable turn of speed. The diesel engine is a better option. While it’s still not fast in outright pace, a healthier slug of low-down torque means you can make progress in a more relaxed way, building speed on motorways without the constant need to change gear. It makes little difference to the performance whether you choose the six-speed manual or six-speed automatic gearbox, and even the 4WD versions don’t feel much slower on the road. On anything other than a billiard table-smooth road, you’ll find the Tivoli’s ride is bumpy and unsettled. It always fidgets, even over minor surface imperfections, but deep potholes cause the biggest issue, jarring you with a large thud through the cabin. On open roads with a series of dips and crests there’s quite a lot of suspension float due to the poor damping, particularly from the rear of the car. Fortunately, the ride isn’t vastly affected by larger wheels, so it doesn’t make a huge difference if you have the 18in wheels that come as standard on our favourite EX trim. It’s also worth bearing in mind that while the Kia Soul and the Nissan Juke are slightly better, neither is fabled for being particularly smooth riding. While the handling is safe and secure, the Tivoli isn’t as sure-footed on the road as a Kia Soul. There’s more body roll in bends and not as much grip. Adopt even a remotely enthusiastic driving style around corners and you’ll find the front tyres wash wide quite easily. That said, the Tivoli’s steering isn’t bad. It’s responsive and accurate, and includes a button to vary the weight, although the Comfort mode feels the most natural. The Comfort setting also makes the steering feel light when parking, which combined with a super-tight turning circle, makes the Tivoli an easy car to handle in town. Four-wheel drive is available only on the diesel models, but we’d only recommend it if you live out of town and think the added traction in slippery conditions will justify the extra expense. The 1.6-litre petrol engine is reasonably refined at low revs, but becomes boomy at 3000rpm, before getting decidedly coarse and whiny above 4000rpm. This is a bit of an issue, as most of its performance is delivered in the upper rev range. Although the diesel version is generally more clattery, the fact that you don’t need to rev it as hard to make good progress means that it is the one we recommend. The petrol also has a very sensitive accelerator pedal that makes it easy to over rev the engine when moving away from a standstill. This, and the snatchy brakes, make the Tivoli tricky to drive smoothly in town. Both gearboxes work well, though. The six-speed manual has a positive gate and slick action, hampered only by a slightly long throw. Meanwhile, apart from an overly keen kickdown that sends the engine racing from time to time, the auto is smooth and fairly effective. Over hefty bumps and sharp ridges there’s plenty of suspension noise, and once you reach around 60mph, a fair amount of wind and road noise, too.